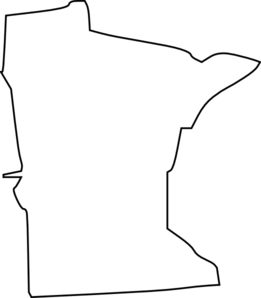 Minnesota currently has a TEFRA program and four HCBS 1915(c) waivers that serve children. All programs waive parent income. See this Home and Community-Based Service Waivers overview for general information. Minnesota has charged a "parent fee" for its programs, including its TEFRA program, for decades. These fees can be quite high, up to 11.25% of your income. While the legality of these fees is in question, the federal government is currently "tolerating" parent fees. Information on parent fees can be found on the Parent Fee page. Children cannot be denied services if the fee is not paid, but the state can attempt to collect the fee using a collection agency and legal action. Minnesota also has an adult-only waiver for the Elderly. How to Apply: Apply online at MNSure or call (651) 431-2670 (Twin cities metro area), (800) 657-3739 (Outside Twin cities metro area), or call the Disability Linkage line at (866) 333-2466. Target Population: Children and adults with physical or other health disabilities. Persons must be medically fragile or technology dependent and require a hospital level of care. Children with lesser disabilities should apply for the CADI Waiver. Income Waiver: Yes, the waiver is based on the child's income only. However, a Parent Fee may apply. Description from medicaid.gov: Provides adult day service, caregiver living expenses, case management, homemaker, respite, supported employment, extended home care nursing, extended home health care, extended personal care assistance, 24-hour emergency assistance, adult companion services, adult foster care, child foster care, chore services, CDCS: environmental modifications & provisions, CDCS: personal assistance, CDCS: self-direction support activities, CDCS: treatment and training, crisis respite services, employment development services, employment exploration services, employment support services, environmental accessibility adaptations, family training and counseling, home delivered meals, housing access coordination, in-home family supports, independent living skills (ILS) training, individualized home supports, night supervision services, personal support services, positive support services, specialist services, specialized equipment and supplies, transitional services, transportation for individuals with other disabilities, ages 0-64. How to Apply: Apply at your local Human Services agency. Waiting List: Minnesota has 7 people with physical disabilities, and 121 people with developmental disabilities on its waiting list. Target Population: Children and adults with physical or other health disabilities that would otherwise require nursing facility care. These individuals are less medically fragile and disabled than those on the Community Alternative Care Waiver. Description from medicaid.gov: Provides adult day care, caregiver living expenses, case management, homemaker, prevocational services, respite, supported employment, extended home health care services, extended personal care assistance services, extended state plan home care nursing, 24-hour emergency assistance, adult companion services, adult day care bath, adult foster care, behavioral support, child foster care, chore services, consumer-directed community supports (CDCS): personal assistance, consumer-directed community supports: self-direction support activities, consumer-directed community supports: environmental modifications and provisions, consumer-directed community supports: treatment and training, crisis respite, customized living, environmental accessibility adaptations, family training and counseling, home delivered meals, housing access coordination, independent living skills (ILS) training services, night supervision services, residential care, specialized equipment and supplies, transitional services, and transportation for individuals with physical and other disabilities, ages 0-64. Target Population: Children and adults developmental or intellectual disabilities. Description from medicaid.gov: Provides adult day service, caregiver living expenses, case management, day training and habilitation, homemaker, prevocational services, respite, supported employment, extended personal care assistance services, 24- hour emergency assistance, adult day service bath, assistive technology, chore, consumer directed community supports (CDCS): environmental modifications and provisions, CDCS: personal assistance, CDCS: self-direction support activities, CDCS: treatment and training, crisis respite, employment development services, employment exploration services, employment support services, environmental accessibility adaptations, family training and counseling, home delivered meals, housing access coordination, night supervision services, personal support services, positive support services, residential habilitation, specialist services, specialized equipment and supplies, transitional services, transportation for individuals with ID/DD, ages 0 - no max age. Waiting List: Minnesota has 121 people with developmental disabilities on its waiting list. Description from medicaid.gov: Provides adult day care, caregiver living expenses, case management, homemaker, prevocational services, respite, supported employment, extended home heath care, extended personal care assistance, extended private duty nursing, 24 hr emergency assistance, adult companion, adult day care bath, adult foster care, behavioral support, child foster care, chore, consumer directed community supports-self direction support activities, consumer directed community supports-environmental mods and provisions, consumer directed community supports-personal assistance, consumer directed community supports-treatment and training, customized living-24-hr, customized living, environmental accessibility adaptations, family training and counseling, home delivered meals, housing access coordination, independent living skills therapies, independent living skills training, night supervision, residential care, specialized supplies and equipment, structured day program, transitional, transportation for individuals with BI, ages 0-64.